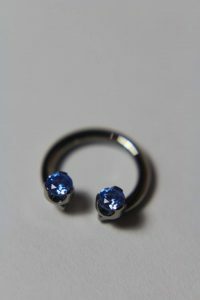 Ciaron is eager to use some of our phenomenal jewellery and is offering up a piercing, free of charge to one lucky customer. All done on a walk in first come, first serve basis. 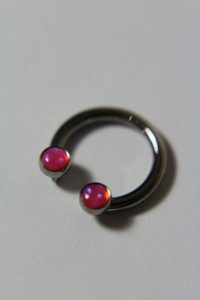 Starting from 11am on Saturday’s, the first person to get in and claim the jewellery will get it all done, minus the cost of the piercing itself. What a treat! 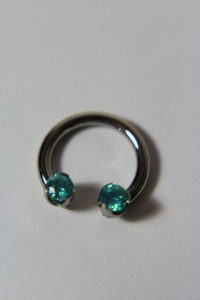 This week we are offering up not one but four circular barbells from Anatometal! So don’t worry if you are not the first person here, there’s a chance for 4 lucky people! 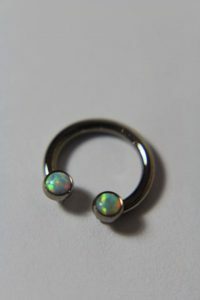 This weeks jewellery is particularly suited for either a daith or septum piercing. If the jewellery is not claimed on Saturday, it will roll over and be available the following day. No reservations, no booking over the phone. For more information give us a call on 0208 549 4705.